Do you know how to prepare a bowl of cereal? I’ve got a question for you. If I asked you to prepare a bowl of cereal, would you know how to do it? I’m willing to bet that you scoff at this question: everyone knows how to do this. You get the cereal out, get the milk out, get a bowl and a spoon, put the cereal in the bowl, pour some milk on top of it and then you’re done. However, when folks in South Africa got cereal for the first time, they boiled water and then added the cereal creating a nasty mush. Clearly the cereal product managers had some work to do here! If you were a product manager responsible for cereal products, one of the first tasks that you would have would be to find out just exactly who was eating your product. It turns out that the global market for cereal is US$32.5B! The U.S. is the largest market for this product consuming roughly US$10B of it every year. However, product managers are facing a problem in their well-established markets – consumption of cereal is on a decline. What customers are looking for are protein heavy meals that they can eat on the go. They have to find a solution to this problem or else it’s not going to look good on their product manager resume. What cereal product managers are starting to get excited about is the potential offered by emerging markets. What the product managers have been finding there is that as more and more people are moving to the cities, they are finding that they have less time to make traditional breakfasts and so cereal is starting to look more appealing to them. The new middle class that is just starting to emerge has more money to spend on food items like packaged cereal and what they are looking for is more variety in the food that they eat. Sales of cereal in China and India are expected to increase by 6% and 22% respectively over the next 5 years. If cereal product managers want potential customers in emerging markets to buy their product, then they will need to change their product development definition and reformulate it to meet local tastes. What works in the U.S. may not work world-wide. Kellogg’s product managers have already gone ahead and reformulated their corn flakes cereal with unsweetened mango in India. They have also introduced new cereal products like savory pongal to meet unique Indian tastes. How Can Product Managers Teach People How To Eat Cereal? Even if you get the product right, product managers still have a responsibility to teach their customers how to use the product. If you were not raised in a house that ate cereal, then you won’t know how to prepare it. When the customers in South Africa started to boil their corn flakes, the product managers knew that they had a problem on their hands. What they did was to change things up and they introduced a new product: Corn Flakes Instant Porridge. One of the things that product managers needed to learn was that in many developing countries people have little or no appetite for dairy milk. In other regions, breakfast is thought of as consisting of hot foods such as rice. A struggle that product managers are up against is that in many countries, potential customers currently eat less than 3.5 ounces of cereal each year. What this means for product managers is that they can be seen as being very successful if they can get people to double the amount of cereal that they eat each year. Changing what people both want and eat for breakfast is a tough job. One approach that product managers are taking is to talk with customers. They are pitching cereal as being a good source of fiber, vitamins, and minerals. This is a story that is especially well received by mothers. Additionally, in order to meet the budgets of families in emerging countries, the product managers are changing the product’s packaging to create three serving bags and single service bowels. You would think that being a cereal product manager would be a simple job, right? I mean everyone eats breakfast and so according to the product manager job description this should be a simple product to manage. Well, surprise, surprise – it turns out that in the most important markets, emerging economies, they view breakfast differently from the established cereal markets and that is causing cereal product managers a lot of headaches. 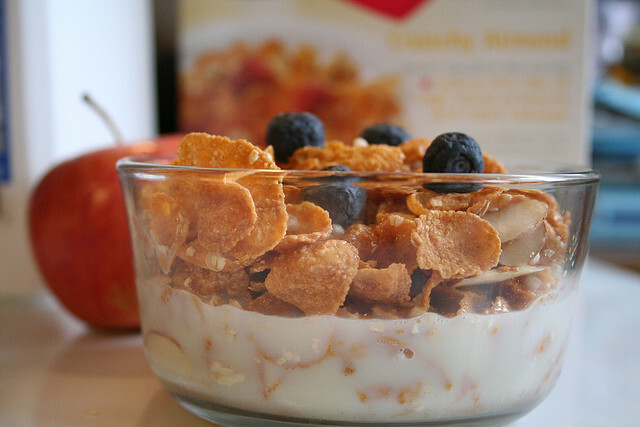 Cereal sales in the U.S. and Europe are on a decline. Customers there are now starting to look for alternatives that are fresher, faster, and more portable. What this means for product managers is that the emerging markets of the world hold the most promise for future sales. Now all they have to do is to create unique cereals to address the tastes of these markets. Once this has been done, it will be the job of the product managers to teach their potential customers how to properly prepare these new-to-them breakfast cereals. When the market for your product goes global, all of a sudden you have a lot more issues that you have to deal with. The cereal product managers are showing us how issues with how your customer is using your product have to be detected and then solutions have to be created. Take the time to study how your customer uses your product and you can prevent them from putting your cereal into boiling water! Question For You: Do you think that cereal product managers should create unique products for each country they sell in? Can you tell me where “… the most magical place on earth…” is? If you said “Disney”, then good news – roughly a billion dollars of advertising over the years has done its job in creating a solid product development definition. Going to a Disney theme park is the dream of many families. They may save for a long time, pack the family up, travel to the park, and then hope that the weather behaves itself so that they can create lasting family memories. However, Disney is thinking about making changes to how much creating these lasting family memories will cost. Is this a good idea?